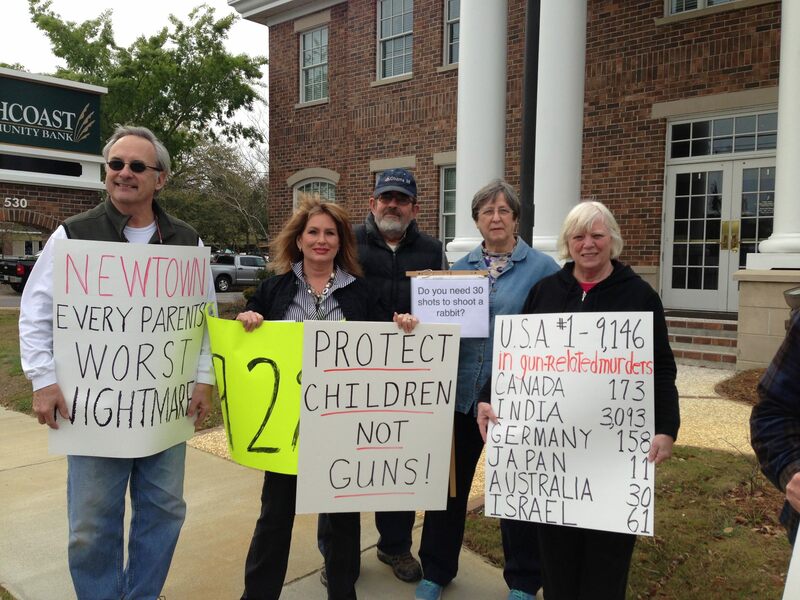 Last week, several of our fellow Democrats held a vigil in front of Sen. Graham’s office calling for tougher gun laws. You can read news coverage on the vigil here. Pictured: SC Democratic Women’s Council President, Susan Smith, stands with the interim Charleston County Democratic Women’s Council president and the Charleston County Democratic Women’s president elect. Thanks to all the great Charleston County Democrats who participated in this vigil along with our Pawleys Island/Murrells group. A true Grass Roots coalition! This entry was posted in Events, Grassroots, Gun Laws, Human Rights, Legislation and tagged Democrat, Grassroots, gun control, gun lobby, lindsey graham. Bookmark the permalink.